Benefits of User-Generated Content | BMT Micro, Inc.
A common problem facing most online businesses today is producing great content that continually engages their audience. In order for businesses to differentiate themselves from the competition, their content needs to stay fresh, relevant, and distinctive. It also needs to effectively answer questions so consumers can make informed purchasing decisions. But, content like this can be time-consuming and costly to produce. Fortunately, word of mouth is an incredibly powerful tool. Most consumers consult various social channels and peer reviews before they ever visit a business’ site or intend to make a purchase. In fact, 92 percent of consumers trust a complete stranger’s product review over information on a company website. People want to feel that they are not the only ones using a product or service. This is why you see businesses using testimonials, reviews, and well-known logos to show off satisfied customers and that they can be trusted. This also shows the power of user-generated content (UGC) – content created and shared by consumers featuring products and brands. UGC includes social posts, photos, product reviews, personal blogs posts and any other kind of online expression from consumers. While user-generated content often means free content for brands, it can turn marketing messages into brand experiences that help businesses reach new markets. It can also foster customer loyalty and lift conversion rates. 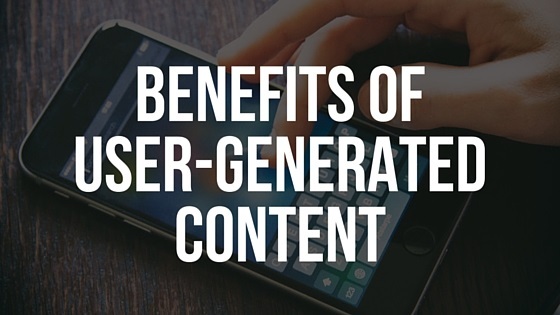 What’s more, inspiring consumers to share UGC is easier than you may think. If you already have consumers who love your brand, simply provide them with some direction for expressing their loyalty, like a catchy hashtag or contest. This could be all your business needs to encourage consumers to share photos, videos, and other posts. Of course, a driving force behind all of this is that humans are a species that likes to share. Simply asking customers for their opinion or feedback. Encouraging customers to post about their experiences with your products on social media. Being proactive about managing your online reputation – don’t be afraid of negative feedback, but address appropriate issues. Looking for what type of content customers are already sharing organically. User-generated content offers a direct view into consumers real-world experiences with your brand, and a great opportunity to add an extra dimension to their shopping experience. User-generated photos and videos can be a powerful testimonial and concrete evidence that products and brands deliver on their promises. Furthermore, studies have shown that when brands inspire UGC, they see an average of 20 percent more visits to their websites, receive 25 percent more new emails and measure a 50-percent lift in social engagements. Overall, consumers trust other consumers more than brands and companies. User-generated content helps address common questions, eliminate doubts, and gives consumers reassurance in their purchasing decisions. The potential for UGC is everywhere and successful brands are already encouraging consumers to create it.